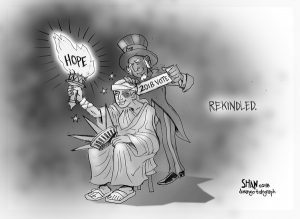 Political cartoonists challenge the government, question societal norms, and contribute to public discussion. They may show the public instances of injustice and help society to understand our own roles and responsibilities within the community. Yet, cartoonists are facing significant challenges in modern society. As the newspaper industry has struggled financially, fewer news organizations have continued to maintain a staff cartoonist. 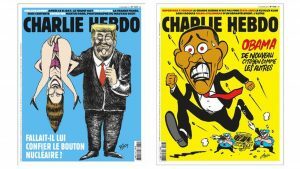 The shootings at France’s satirical newspaper Charlie Hebdo served as a reminder of the dangers that cartoonists can face if they publish controversial cartoons. What is the extent to which political cartoons contribute to the public discourse and how can we safeguard their role on the national stage as upholders of justice? We asked two of them to come and talk about it. 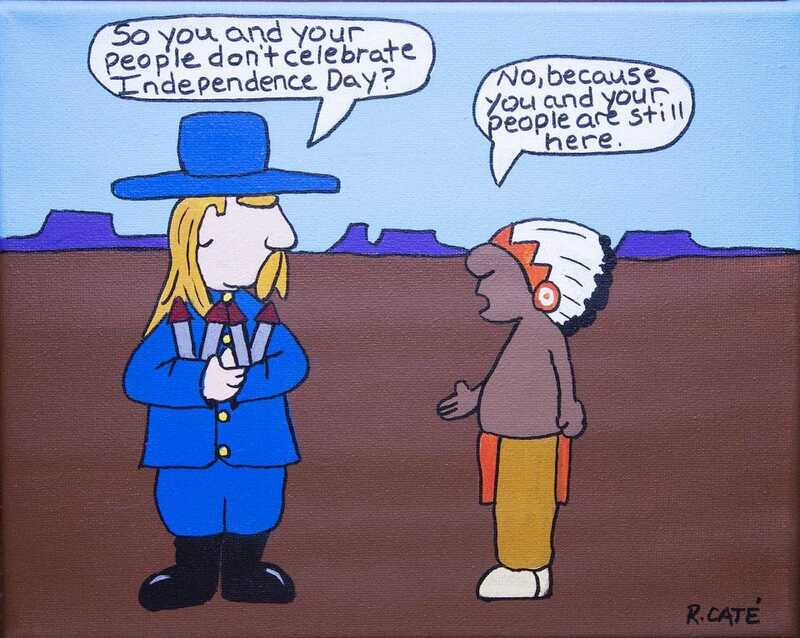 Ricardo Caté of Santo Domingo Pueblo is the most prominent Native American cartoonist working today. His immensely popular cartoon “Without Reservations” is published daily in the Santa Fe New Mexican and Taos News, and explores the irony and poignant humor found in the Native American experience of living in dominant culture. 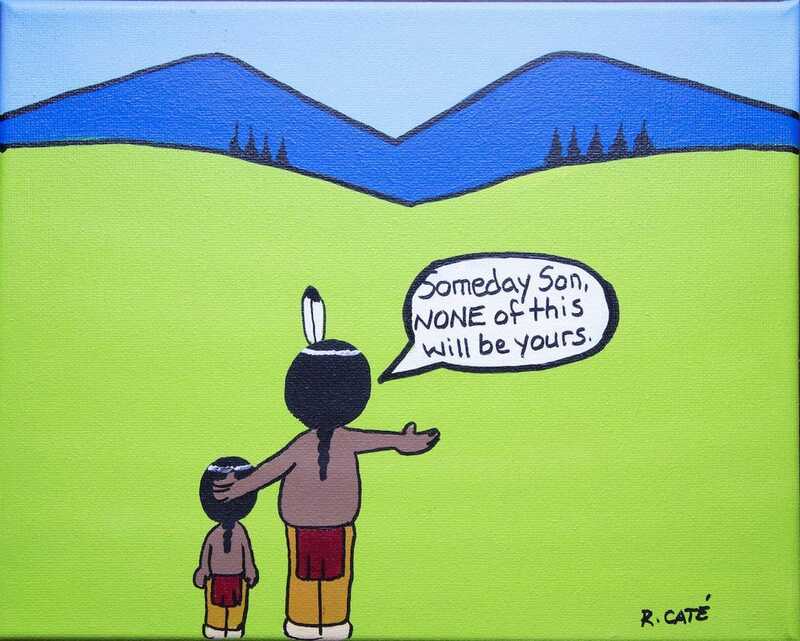 Caté is the only Native American cartoonist whose work is carried by a daily mainstream newspaper. Many of his comics are included in his extraordinary book, Without Reservations: The Cartoons of Ricardo Caté. 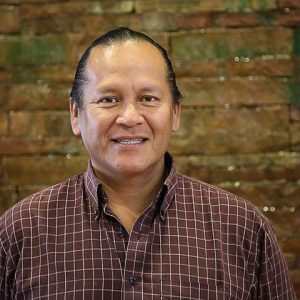 In addition to being a cartoonist, Caté is also an activist, stand-up comedian, writer, teacher, veteran, former college athlete, tribal official, four-time Dakota Access Pipeline protester at Standing Rock, and filmmaker. This interview is extracted from FORBES magazine and was written by Lois Alter Mark earlier this year. The first cartoon I ever drew wound up in our school’s newsletter back in 7th grade. It was simply one of my friends, who played basketball, standing at the free throw line and everyone is yelling at him to shoot the ball as he cries out, “Don’t yell at me!” Pretty lame, right? But I was 12 and that was funny to me. I originally walked into the Santa Fe New Mexican newsroom to ask if they needed any freelance writers because I loved to write. They said no and as an afterthought I asked if they would check out my cartoons because I had my drawing pad with me. This was spring of 2006. They explained that I had to go through a syndicate in Florida, which sent the plate that the cartoon page was on. I explained that I was standing before them with my drawings and asked why did I have to go all the way to Florida? They were like, “Look, I told you — you have to go to Florida.” This went on, back and forth, for ten minutes until finally she said “Ok, let me see them.” She read the nine I had with me and laughed and within minutes several people were in there laughing and she said, “We HAVE to have this in the paper.” The rest is history. I didn’t know of any other Native cartoonists at that time, no. I’ve “tweaked” the cartoons a bit by 1) Drawing fewer “inside jokes” that only Native people would understand, and making them more universal. 2) Developing my two main characters, The Chief and The General, so that each basically represents the culture they come from, and 3) Getting rid of my characters’ eyes because I found it easier to have them express themselves that way. I don’t feel I should be responsible and represent all Natives because each tribe is different with its own history. I think mainstream America often depicts us as one even though there were well over 1000 tribes before the Europeans came. I base my cartoons on my knowledge of other tribes as well as my own. I try to “educate” my readers about certain tribes and certain dates in Native American history that should have been told already. Shan Wells is a North American sculptor and political illustrator. Wells illustrates a weekly political cartoon for the Durango Telegraph. 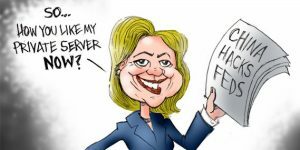 His illustrations and editorial cartoons are syndicated worldwide with Artizans, and he is a blogger for the Huffington Post. 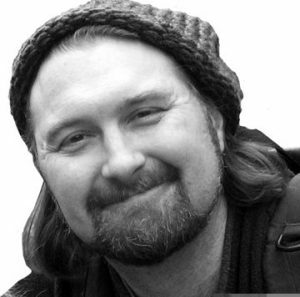 Wells is an artist and professor of art at Fort Lewis College. He attended Art Center College of Design in California and the University of Canterbury in New Zealand, where he studied under Andrew Drummond. He is the recipient of: a 2003 Colorado Council on the Arts Fellowship- Sculpture, a 2002 Fort Collins Museum of Contemporary Art Biennial Award, 2000 Colorado Council on the Arts Fellowship-Drawing and a 1999 Pollock Krasner Foundation Grant.